Just like the default UI packs available for iPhone, Android, Web..., etc. 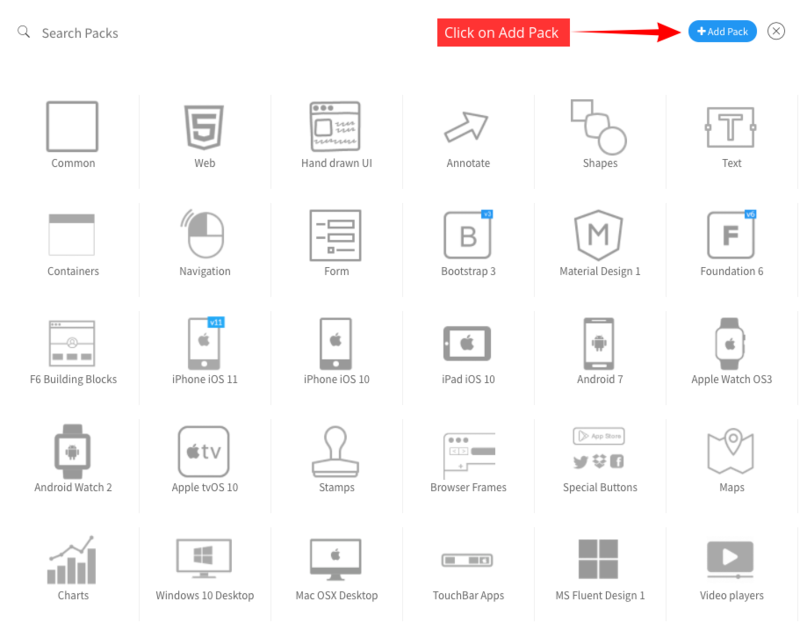 Designers can create custom packs and add their own components to it. Custom component packs are available across all projects in that user's account and it also can be shared with other Team Members. 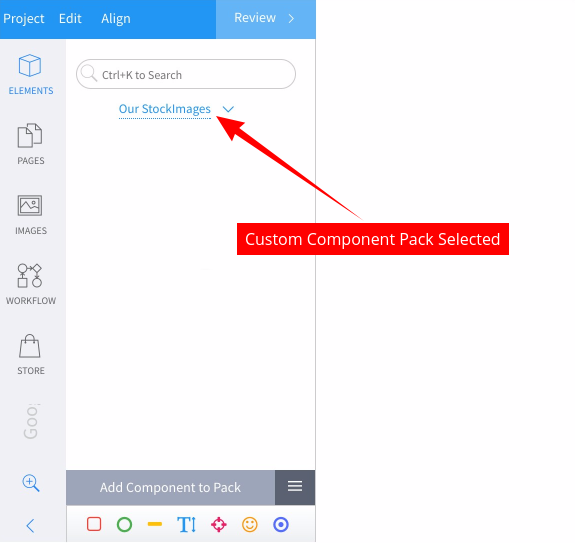 Custom component packs are automatically shared for all Team Members with TeamPack/Business licenses. For example if you have a 3-user TeamPack license, Any custom component pack created will be available for all 3 users of the TeamPack license. NOTE: This feature is enabled for TeamPack/Business license users only and is not enabled for users with any other license editions like 'Premium'. 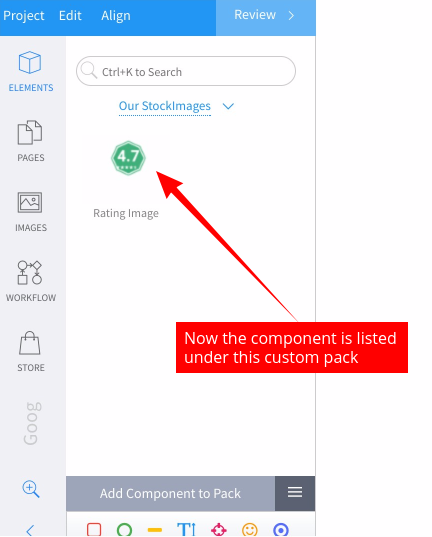 Step 3: After the new pack is created, it will automatically open in component sidebar or you can also select later from the pack listing just like selecting any other pack. 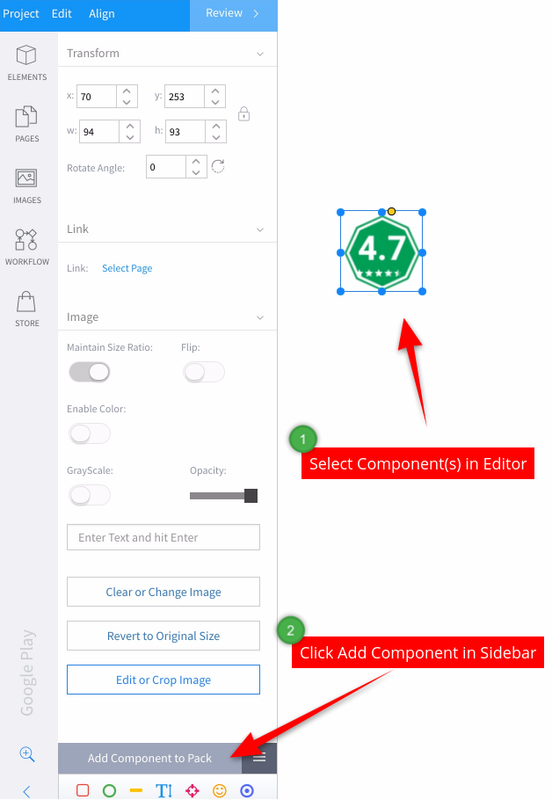 Step 4: Now to add components to the Pack, first select the components in the editor (it can be any component, image, icon or group of comps) and then click the 'Add component to Pack' button in the left sidebar. This adds the component to the pack immediately. Note: Components are saved independent of the components present in the wireframe so deleting or modifying the drawing in the wireframe won't affect the saved components in the custom packs.